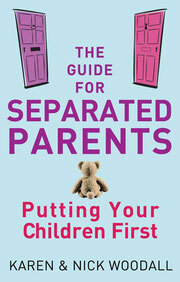 However painful your separation is for you, it is likely to worse for your children. Older teens may already be looking towards their impending adulthood but most children still look to their mum and dad to help them feel loved, safe and secure. As an adult, you have some control over your future, however difficult that might feel. But your children have few choices and rely on you and the other parent to make the right decisions on their behalf. It can be quite difficult to spot signs of emotional stress and anxiety in children. This is because children see that you are distressed and don’t want to make things worse for you. However, it’s very important that you spot any changes in behaviour and help your children to deal with their feelings. Children very often feel responsible for their parent’s separation, this can lead to feelings of guilt as well as a belief that they can bring you back together. They will be aware of the pain around the separation of your adult relationship and may well bury their own feelings so as not to make you feel worse. Any conflict that occurs during your separation will have a particularly unsettling effect on them.